The Augmented Reality Sandbox (orginally developed by researchers at UC Davis) lets users sculpt mountains, canyons and rivers, then fill them with water or even create erupting volcanoes. This version of the device at UCLA was built by Gary Glesener using off-the-shelf parts and good ol’ playground sand. Any shape made in the sandbox is detected by an Xbox Kinect sensor and processed with open source software. It is then projected as a color-coded contour map onto the sand. Getting your clothes to fit neatly inside a suitcase can sometimes be struggle, but robotics engineers at UC Berkeley can help you out. They’ve come up with an efficient way to fold a variety of clothes into neat little rectangles. These techniques are intended to help a new generation of robots take on a monotonous household chore: folding laundry. Using cameras and shape recognition software, the robot is able to assess the best way of folding each piece of clothing based on the shape of it. The key to improving robots is in Artificial Intelligence (AI). Robots can only do what their programming tells them to do — and often can’t adapt to new or unique circumstances. 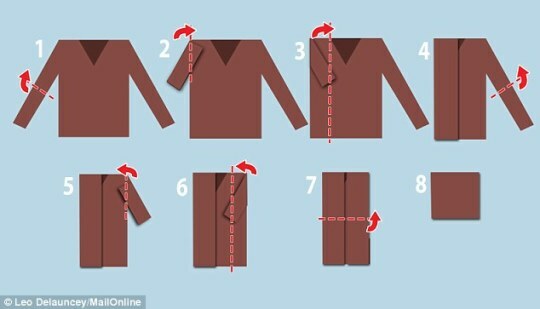 For example, you can program a robot to fold a shirt, but if you throw in a shirt with buttons on the opposite side, the robot may not be able to adapt to the new situation and fold it. The UC Berkeley engineers are trying to develop robots that don’t rely on such specific programming. 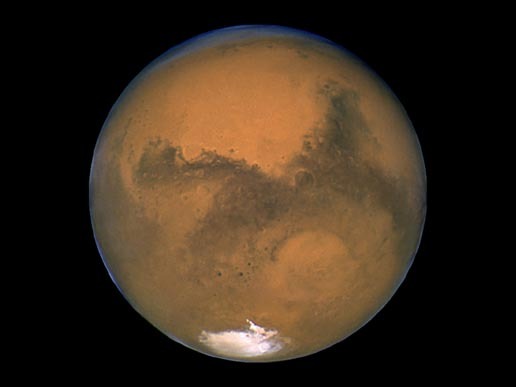 Could Cosmic Rays Threaten Mars Missions? Thousands of people have volunteered for a potential mission to Mars, but if any of them end up making the trip, they might lose a few brain cells along the way. New research out of UC Irvine finds that exposure to cosmic rays during the long journey, expected to take about six to eight months, can damage the brain and lead to dementia-like impairment. “This is not positive news for astronauts deployed on a two- to three-year round trip to Mars,” Charles Limoli explained. Limoli is a professor of radiation oncology at the UC Irvine School of Medicine. What can be done to protect astronauts speeding off to the red planet? As a partial solution, Limoli said, spacecraft could be designed to include areas of increased shielding, such as those used for rest and sleep. But the brain-dulling particles would still get on board. “For example, pretend somebody pokes my left thumb with a needle. We know that the insular cortex fires cells and we experience a painful sensation. The agony of pain is probably experienced in a region called the anterior cingulate, where there are cells that respond to pain. The next stage in pain processing, we experience the agony, the painfulness, the affective quality of pain. It turns out these anterior cingulate neurons that respond to my thumb being poked will also fire when I watch you being poked—but only a subset of them. There are non-mirror neuron pain neurons and there are mirror neuron pain neurons. The purple in the center is the cell’s nucleus. Surrounding it are wispy blue and white microtubules and filaments that make up the cell’s cytoskeleton. The cytoskeleton is made from protein structures called microtubules—the wispy threads surrounding the purple DNA-containing nucleus—and filaments of a protein called actin, seen here as the fine blue meshwork in the cell periphery. Both actin and microtubules are critical for growth and movement. Unlike our own bony skeleton, which keeps the same arrangement throughout our lives, the cellular cytoskeleton is dynamic, continuously morphing in response to cellular signals. In this image, cytoskeleton remodeling of the skin cell was triggered by addition of a growth factor, which produced protrusions of the cell edge and the characteristic “fried egg” shape of this cell. These protrusions have little “feet” that help the cell move forward. The Wittmann lab recently used these skin cells to model the complex choreography by which microtubules control cell movement. 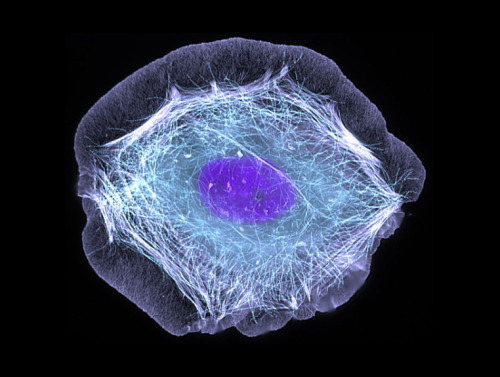 Learn more about the cytoskeleton and this image, taken by UCSF cell biologist Torsten Wittmann. Gluten develops in dough when two wheat proteins found in flour (glutenin and gliadin) are mixed with water. Because parts of these proteins don’t like to interact with water, the proteins begin to stick to each other much in the same way oil droplets come together when suspended in water. As a flour-water dough is mixed, the glutenin and gliadin molecules interact to form a protein network. These networks give structure and stability to dough. Although dense networks are great for chewy bread dough, they are less than ideal for flaky, tender pie crust. An ideal pie dough has as just enough gluten to hold everything in the dough together. And while gluten development can be minimized by adding only scant amounts of water and handling the dough as little as possible, this is easier said than done. What flour is the best flour for pie crust? This is a contentious question that has a variety of answers depending on personal preference, but the type of flour you use can have a major effect on the final texture of your crust. The protein content of flour, based on the type of wheat the flour was made from, will affect the extent of gluten formation in your dough. Bread flour has particularly high protein content, which can make pie crust dense and tough. Flours with lower protein content, such as pastry flour or cake flour, will create less extensive gluten networks and can produce a more tender crust. Researchers at UCSF have pulled aside the curtain on a protein informally known as the “wasabi receptor,” revealing at near-atomic resolution structures that could be targeted with anti-inflammatory pain drugs. The newly visualized protein resides in the cellular membrane of sensory nerve cells. It detects certain chemical agents originating outside our bodies — pungent irritants found in substances ranging from wasabi to tear gas — but is also triggered by pain-inducing signals originating within, especially those that arise in response to tissue damage and inflammation. With many copies of the proteins suspended in this glassy ice, like insects trapped in amber, the researchers capture as many as 100,000 images, then computationally combine these thousands of two-dimensional views to generate the three-dimensional structure of the protein. Aggression between two different species of animals is surprisingly common. But what exactly are they fighting over? Male aggression towards potential reproductive rivals could explain much of it. UCLA biologists observed and analyzed the behavior of several species of damselflies. Male damselflies typically ignore males of another species when they fly into their territory — unless they’re attempting to mate with a female damselfly. 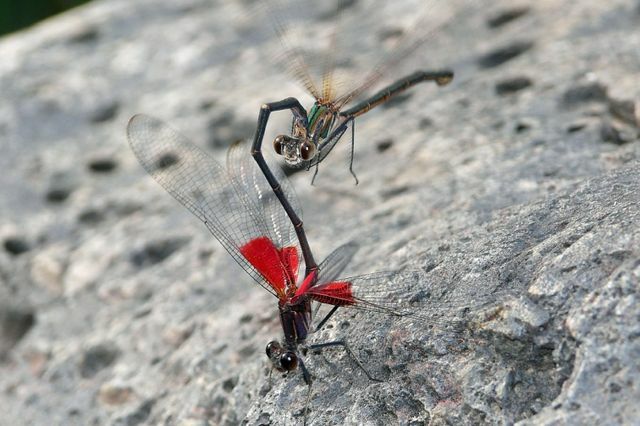 Female damselflies almost always refuse to mate with males of a different species, said UCLA’s Gregory Grether, but that doesn’t stop some males from trying, especially in cases where the females of both species have similar wing color. 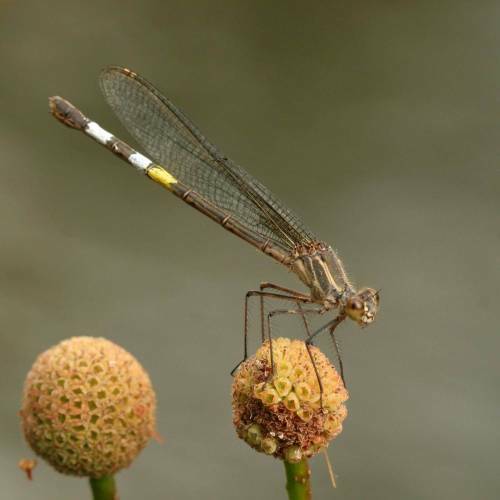 “Male damselflies often have difficulty distinguishing between females of their own species and another species when making split-second decisions about whether to pursue a female,” Grether explained. Damselflies typically live only a couple of weeks, and have few mating opportunities. The biologists documented some cases where aggression between species has essentially disappeared because of substantial divergence in wing coloration. UC San Diego biology and chemistry students have created the world’s first algae-based, sustainable surfboard. The project began several months ago when undergraduate biology students began working with a group of undergraduate chemistry students to solve a basic chemistry problem: how to make the precursor of the polyurethane foam core of a surfboard from algae oil. Polyurethane surfboards today are made exclusively from petroleum. The chemistry students figured out how to chemically change the oil obtained from laboratory algae into different kinds of “polyols.” Mixed with a catalyst and silicates in the right proportions, these polyols expand into a foam-like substance that hardens into the polyurethane that forms a surfboard’s core. Although the board’s core is made from algae, it is pure white and indistinguishable from most plain petroleum-based surfboards. That’s because the oil from algae, like soybean or safflower oils, is clear. “This shows that we can still enjoy the ocean, but do so in an environmentally sustainable way,” added Stephen Mayfield, a professor of biology and algae geneticist who headed the effort. How Do Our Bodies Fight Off Dangerous Chemicals? We’re all subjects in a massive experiment. Humans have created about 80,000 synthetic industrial compounds — including plastics, the flame retardants that cover our sofas, and pesticides. These compounds have structures that are not commonly seen in nature and present a risk to our health. Everybody on the planet is exposed. It’s important to understand what these substances are doing to our bodies so that scientists can create a rule book for making these chemicals safer. The challenge to understanding how dangerous compounds get into our body is complex. The way we have been doing this in the past is to test if a synthetic compound dissolves in fat. If it does then theres a high likelihood that it can easily enter our body’s cells where it can cause harm. The problem with this method is that it doesn’t always accurately predict how much a compound accumulates in organisms. A historic example of this is DDT which was used on crops to get rid of pests, but ultimately found its way through the food chain. It’s now considered a risk factor for breast cancer in humans. At UC San Diego’s Scripps Institution of Oceanography, Amro Hamdoun is looking at the biological properties of how these compounds interact with cells. The focus is on how the cell decides which compounds to let in and which ones to eliminate.